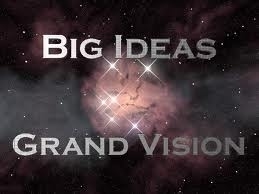 Vision - some ideas to consider - Graham E Glynn Ph.D. The percentage of income can be set by each institution for each graduating class and program but is then fixed for the life of the graduate. Each credential awarded results in summative payments. For example, an associates may result in a 2% payment and a baccalaureate in an additional 3%. Payment is only delivered for completed credentials, and minimum credit hours are set for each (certificates 20, associates 60, baccalaureates 120 etc.). The institution must absorb the expense of credits earned that do not apply to a credential or for additional credits beyond the minimum. Students cannot be charged for repeating a class. There are many key consequences to this scenario but I will address only some that could have a big impact on our operations. The percent of gross income will replace tuition rates as the measure of expense to attend an institution. Prospective students will look at the success rates of prior classes to determine if an institution is worthy of the investment. The more successful the graduates, the higher the percentage that can be set. This could lead to a significant re-ranking of higher education institutions. Universities only get funding from graduates - students who do not receive a credential are not required to pay us. It therefore becomes imperative that we get as many students to as many finish lines as possible. Our admittance policies will need to be based on factors that predict graduation and long term success. Prior academic preparation will be important but so will factors such as grit and self-confidence. Since we will not get paid for credits that do not apply to the requirements of a credential or for courses that are repeated, we will need to work to ensure that students are counseled into appropriate credential programs as early as possible and ensure that when students enroll in a course they are highly likely to succeed in it. We have to think about the long term success of our graduates, not just the job that they will get on the day they graduate. Institutions that produce more leaders in their field will get a higher rate of return on their investment as those folks will have higher gross incomes. Institutions who produce more successful graduates will therefore be able to offer higher pay to their faculty and staff, invest in better facilities, and should they wish, capture greater market share. Our graduates are less likely to earn well if we drop our standards to make it easier to graduate. They will have a lower quality degree than our competitors which would soon be recognized in the job market and reduce their ability to compete for well paid jobs. Additionally, those lower standards will be obvious from our published learning outcomes, threshold standards, and achievement rates. We will need to ensure that as many students as possible pass every class in which they enroll while maintaining high standards. We will therefore need to provide support to help our students be as successful as possible while at the same time reducing our investment in students who are unlikely to graduate. The further a student is into a course of study the greater the potential financial loss for the institution if they do not complete. We will need to think about how to ramp up support and success rates toward the tail end of programs. Graduate success is not all about income. How will we educate for quality of life, to produce informed citizen leaders, and for low paying but essential careers? If these were the conditions under which we had to operate how would we adapt? What would we do differently in this environment where the measure of our success, and the determinant of our revenue, relies so heavily on the success of our students and graduates? I will provide some suggestions below and have provided links to white papers that I wrote to explore some of these issues more completely. In this environment we will need to pay close attention to how we are empowering success within our graduates. We would establish advisory boards and charge them with regularly reviewing the appropriateness and applicability of the learning outcomes of each credential we offer. We would measure how well each of our graduates are meeting the set of outcomes defined for each program and perhaps even set a threshold for the achievement levels required for graduation. We would also need to maintain long term connections with our alumni to gather data on their successes and determine how our curriculum should adapt to reinforce them. The sooner we get students into a degree program that matches their interests and capabilities the fewer wasted credits toward graduation they will accumulate. Early career education and compatibility matching would help. We will also need to provide them with richer information about courses and programs so they make informed choices. We need to monitor their progress using learning analytics to determine their readiness for their chosen degree path and redirect them if indicators are not positive. Students who have not declared a major are one of the groups at high risk of drop out. Often they have a general idea about what they are interested in - the sciences or working with people for example. Creating broad meta or mega majors can help address this problem. These programs combing similar majors such as psychology, social work, and sociology in a structured curriculum which enables students to make gradual decisions on their final major as they progress through a curriculum that guarantees that all courses apply toward their eventual choice. We have found that many of our intuitive approaches to educational delivery are wrong. For example, flipping the classroom by shifting content delivery to study time and questions and answers to class time (inquiry based learning), is a lot more effective than the traditional lecture approach. Backward design of courses, thinking about outcomes, then assessment, and then content, is a lot more effective than first selecting a textbook (content) to base the course design on. I would suggest that waiting until the end of a class to determine if a student is successful is also a bad idea, and that we should be measuring their potential for success even before they are enrolled. We know that level of preparation is one of the biggest predictors of this success, but how do we know how well prepared a student is for a course? We generally know what we want a student to know at the end of a course - the learning outcomes, but what knowledge, skills, and attitudes are necessary to undertake and succeed in each course – the learning incomes! I believe that if we were to define and test these learning incomes, and make the grade of the course partially (and perhaps significantly) dependent on this level of preparation, our students would be much more likely to get a good grade in the course. In addition, it would discourage students from enrolling in courses for which they are ill prepared, saving us a wasted investment in faculty resources and saving the student the investment in a course that they are likely to fail. The fail rate would drop precipitously for those that are enrolled and we would not need to worry about the law requiring we refund tuition because so few of the students would fail. Defining these learning incomes also offers many other potential advantages. We can map course learning outcomes to the learning incomes of successor courses to ensure that they are adequately preparing the students for the next level. The learning incomes will define the learning that may need to have occurred in a set of pre-requisite courses, enabling the instructor to test integration of learning across the pre-requisites. This will provide independent analysis of how well students are performing in pre-requisite courses and also inform curricular design. The learning incomes tests (prep-tests) could be administered at the end of the prior semester with a second opportunity offered just prior to the start of the upcoming semester. This would give potential enrollees the opportunity to address areas of weakness during the inter-session before re-taking the prep test i.e. a mastery approach to testing. Students could also take more prep-tests than the number of courses they plan to enroll in the subset of courses for which they are best prepared. This approach could have a number of additional major benefits. The student cohort in a class would have a more even level of preparation and the instructor could therefore spend more time on new material rather than addressing deficiencies in prior learning. This would also benefit student group work, reducing the number of passive participants. The social dynamic between faculty and students could also become more positive, with students seeing the faculty more as partners in their learning – preparing them for the next set of prep-tests to be administered by a different instructor. In addition to better curricular and testing designs, we will also need to pay attention to the quality of instruction and more effective ways to evaluate this quality. We often organize student support services around the organizational structure of the institution. We might need to think about this from the students’ perspective and create one-stop shopping service centers. If students take advantage of the mastery approach to testing, we could shift our tutoring services to provide enhanced support during the intersessions. Tutors would have actionable intelligence about how to help each student based on the first pre-test, and students would be motivated to participate so they could increase their grade in the courses they are considering enrolling in. Once a student is admitted to a program we would work hard to ensure they pass their courses, referring them for tutoring if they were struggling academically or to counselors for social and economic challenges. Since the payments are summative we will want to ladder our credentials ensuring students get an associates that leads to a baccalaureate and so on. If a student drops out this will ensure we get payment for some of our investment. From a management perspective it might make sense to pass the responsibility for student success down to our colleges and perhaps departments. We might implement a responsibility centered management system in which student success impacts budget allocations within these units. How might we help students learn to promote themselves more effectively? What tools, such as digital badges and ePortfolios, might we provide to them to document learning more effectively. How might we create long term relationships with our graduates so the we provide them with ongoing education services to help them be even more successful after initial graduation? Wouldn’t this focus on preparation and student success be a great way to distinguish an institution within the marketplace? Irrespective of whether the above laws ever came into effect, shouldn’t we be operating in this manner anyway? Let’s use this or similar thought experiments to examine and change how we do business in higher education.